Summer has finally arrived on the West Coast, its amazing. I love waking up in the early mornings to a bright beautiful blue sky. I love love love summer. Being a foodie it’s no surprise that I am loving summer’s bounty of fresh fruits and vegetables. But it wouldn’t be summer without a little indulgence. 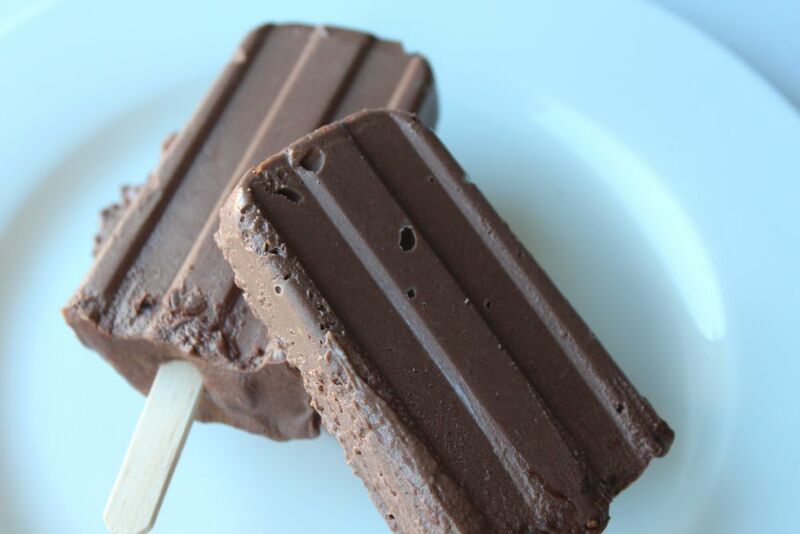 These creamy vegan fudgesicles are a perfect summer treat, so delicious and creamy, just like the ones I remember eating as a child. 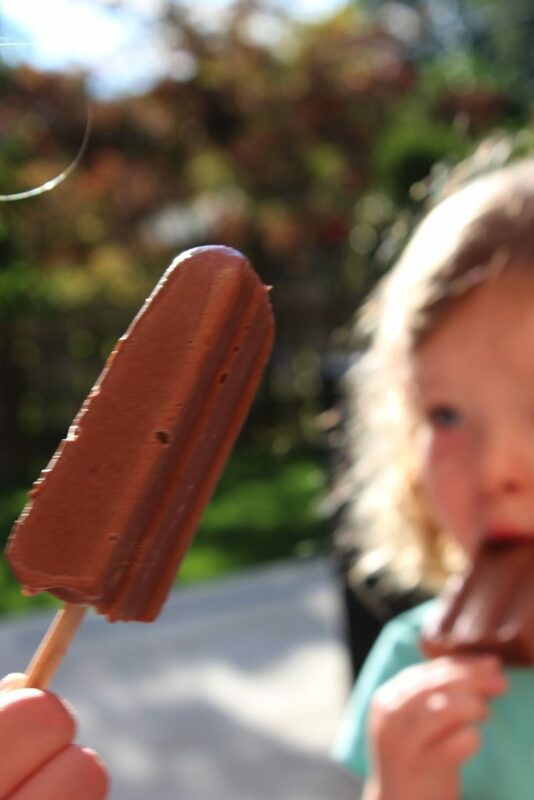 These fudgesicles will take you back to your care free childhood summers. I made these creamy vegan fudgesicles out of curiosity. I am not a vegan but I do enjoy eating vegan recipes and am also surprised at how flavourful and satisfying they can be. I eat most foods except for a few exceptions and try to follow a whole foods approach. I believe dessert fits into a healthy diet as long as its not on a regular basis. A little indulgence once in a while should be enjoyed without any guilt. The girls enjoyed these as their one treat for the day and I was totally cool knowing they were made from whole ingredients instead of artificial flavours and sugar. Dare I say these creamy vegan fudgesicles are a healthier version than your typical store bought fudgesicles. Trust me they are delicious. When I told D about my plan to make these fudgesicles the first thing that came out of his mouth was please tell me your not adding “kale”. Nope no kale in these tasty popsicles. The secret ingredient is cashews. Cashew’s like other nuts are a source of protein, fibre, calcium, iron, and B vitamins. Cashews are also a good source of heart healthy monounsaturated fats. In order to soften the cashews soak them in water for at least 8 hours or over night. This recipe requires a powerful blender to puree the cashews. Before placing the fudgesicle mixture into popsicle moulds, place through a sieve to remove small pieces. Any small pieces of cashews may be a choking hazard for little ones. 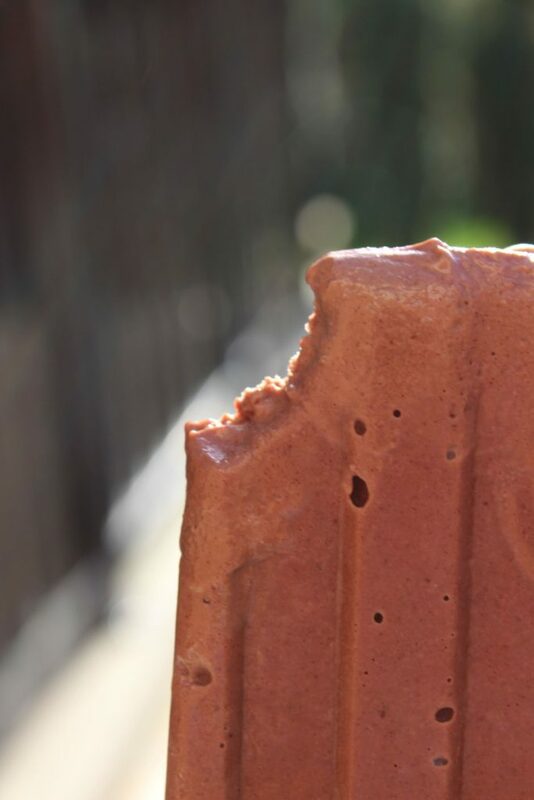 Instead of using sugar, these creamy vegan fudgesicles are sweated naturally with medjool dates. Soak cashews in water for at least 8 hours or overnight. Add all ingredients to a high powdered blender and blend until well pureed. Add a small amount of water if needed to thin out. Freeze for about 4-6 hours. blend mixture until well pureed to avoid bits of cashews.If you have small children I recommend placing fudgesicle mixture through a seive to avoid any pieces of cashews.